Naturally, Teens ages 13 to 18 are under a lot of pressure to maintain grade averages, help out at home and maybe even manage a part time job. We can help your Teen get through this exciting yet sometimes difficult age. Our Teen program works on strengthening focus, setting manageable goals and providing balance of school and home life. They will improve hand-eye coordination, strengthen concentration skills, learn strategic sparring drills and more. Teens like our classes because they are treated as adults and with respect. In turn, your teen will learn the most valuable life lessons at our Do Jang. This program is an accredited program. Many have become black belts and have gone on to college to start their careers. As teens progress in their belts, they are encouraged to try our Masters Club and Leadership (AI) Programs. These specialized programs are dedicated in teaching responsibility to our family, community, do jang and school. 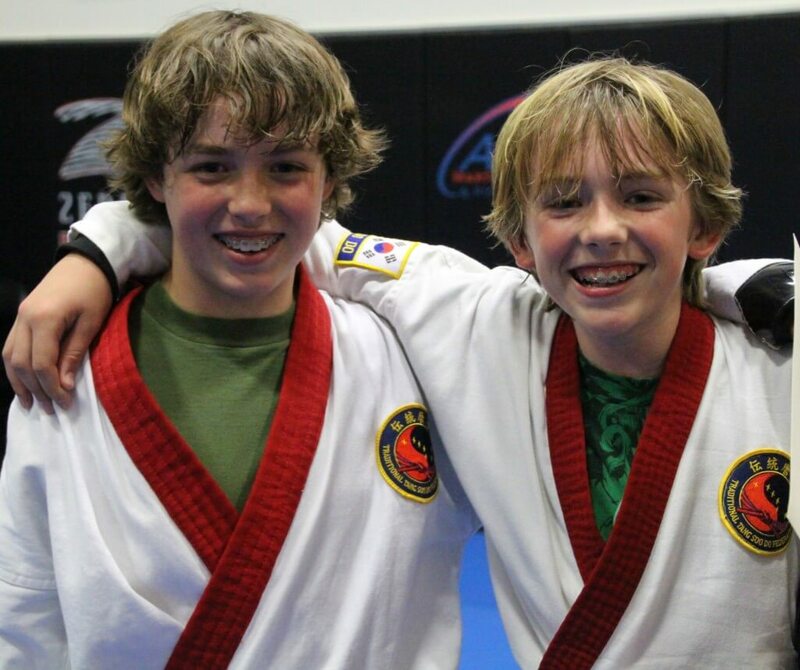 We recommend Teens come to class at least 2 times a week to advance in their gup (colored belt) levels. Classes are unlimited and flexible for this age group; some times twice a day. All of our Teen and Adult Classes are small to provide quality instruction at all times. Parent please note: Teens are allowed in all designated Adult classes (including lunch time and evening classes). Tell Me More About Your Teen Program!